Fat and Happy Food Blog Tips and Techniques: If you are eating cheese, roll a thin slice of manchego into the center of these for a delicious option. Lay a piece of prosciutto on the work surface; depending how big you want these you may only need half a slice (I usually halve each piece lengthwise.) 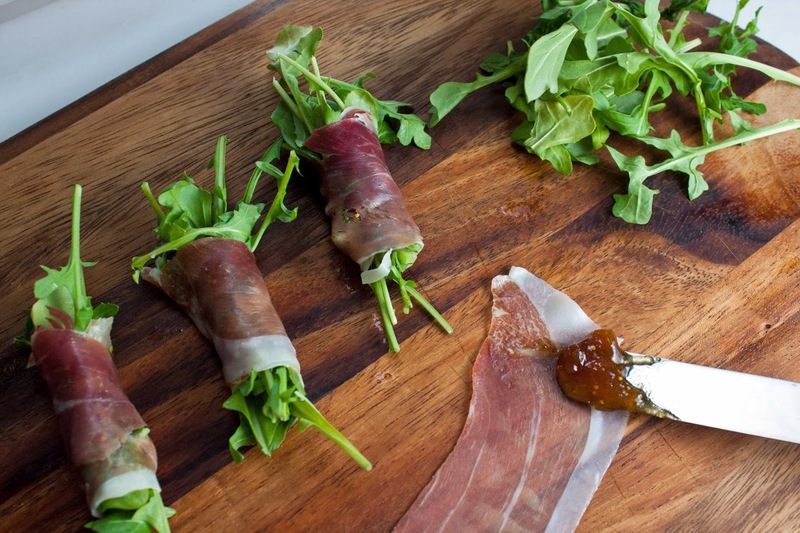 Slather with the fig jam and pile a small handful of arugula on top. 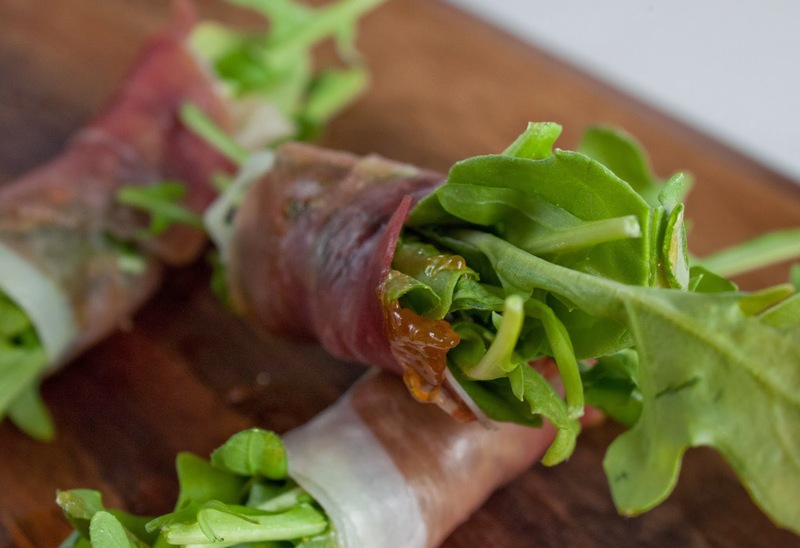 Carefully roll the prosciutto up as tightly as possible. Set on the final serving tray, continue until you have as many as needed. Drizzle a very thin amount of olive oil over the finished tray. Enjoy!